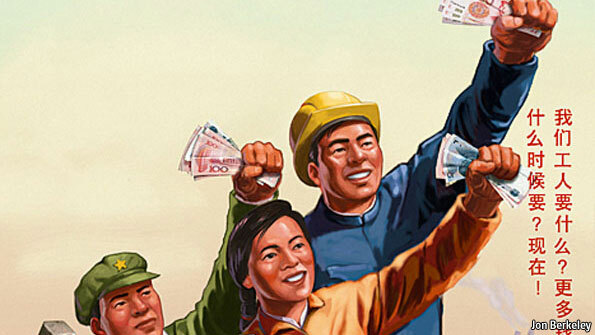 Trade unions have historically bargained for better terms for the sale of labour power; they have not been able to challenge the existence of the labour market itself. Today, however, the relation between "political" and "economic" struggle have changed.” -- Perry Anderson. "The Limits and Possibilities", in The Incompatibles: Trade Union Militancy and the Consensus,1967. Mexico: Can worker-owners make a big factory run? Two workers of the 1000-member TRADOC cooperative. 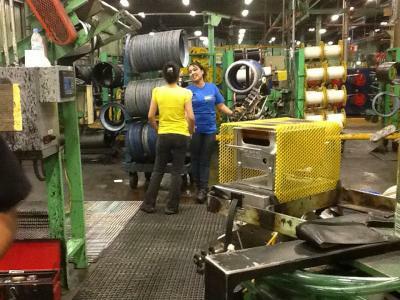 The hiring of women in the plant was one of the many gains of worker ownership. Photo by Bob Briggs. 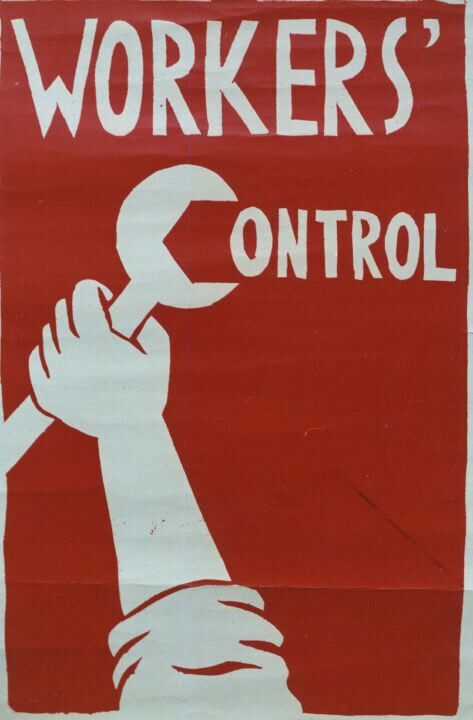 April 3, 2013 -- Labor Notes -- A tyre is not just a piece of rubber with a hole in it. I learned this when I visited the workers’ cooperative that makes Cooper tyres in El Salto, Mexico. A tyre is a sophisticated product that comes about through a chain of chemical processes, lots of machine pounding, and still the intervention of human hands. A fervent inspection worker pointed out that every single tyre is tested under road-like conditions, “If not, it could kill people”, he noted. And, he added practically, “keeping the tyres safe saves our jobs”. Ana Marin talks about her revolutionary activity. October 21, 2012 -- The British Revolutionary Communist Group, publishers of the newspaper Fight Racism! Fight Imperialism!, sent a delegation to Venezuela to cover the October 7, 2012, presidential election. The following interviews, published at Links International Journal of Socialist Renewal with permission, were conducted in the lead-up and the aftermath of the poll. More interviews and articles can be found at the delegation's website. The delegation collaborated with the Australia-Venezuela Solidarity Network brigade that was visiting Venezuela at the same time. July 18, 2012 -- The Bullet -- In 2011, I made two trips to Cuba to study the new co-operatives. In June I was kindly invited by Camila Piñeiro Harnecker, a professor at the University of Havana and one of the country's leading experts on its co-operative movement, to participate in two conferences. In December, Wendy Holm (Canadian agronomist and co-operative facilitator working in Cuba for the last dozen years) extended an invitation to participate in the “Walking the Walk: Cuba's path to a more co-operative and sustainable economy” workshops, again in Havana. Both trips had international guests share experiences and knowledge of the co-operative organisational model with our Cuban hosts. 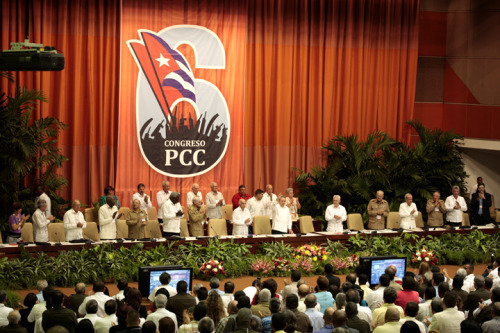 The backdrop was, on both occasions, the recently proposed economic reforms coming out of los nuevos lineamientos (the new guidelines) of the Sixth Congress of the Communist Party of Cuba, completed and released on April 18, 2011. "Managers have powerful market-based incentives that their predecessors did not—fines, bonuses and the threat of termination." Graphic by Jon Berkeley. October 2011 -- China Left Review, #4 -- In debates about whether the economic order that is emerging in China after three decades of market reforms can be called capitalist, the main focus has been about trends in the relative importance of private and state enterprises and the role of the state in the economy. These are important issues, of course, involving fundamental features of capitalism. Much less attention, however, has been given to employment relations. In this paper, which focuses on the restructuring of urban enterprises beginning in the early 1990s, I argue that the dismantling of the old “work unit” system and the elimination of permanent job tenure have effectively severed ties between labour and the means of production. This has changed not only the nature of employment relations, but the fundamental goals of economic enterprise, establishing the foundations for a capitalist economic order. October 11, 2010 -- On day five of Carl Davidson's visit to Mondragon, he alludes to a transition to a "Third Wave" future by the Basque cooperative. The Fagor pressure cookers might be phased out in favour of "the high-design and high-touch products of a third wave future in a knowledge economy". In order to succeed in this new business, Mondragon would have to develop "new entrepreneurs", according to Isabel Uriberen Tesia, a Mexican on the Mondragon staff. Carl Davidson, national co-chair of the Committees of Correspondence for Democracy and Socialism, recently spent five days learning about the renowned Mondragon workers' cooperatives in the Basque Country. Here is his diary of the tour, posted at Links International Journal of Socialist Renewal with his permission. After a short bus ride through the stone cobbled streets of Arrasate-Mondragon and up the winding roads of this humanly scaled industrial town in Spain's Basque Country on a sunny autumn morning, taking in the birch- and pine-covered mountains, and the higher ones with magnificent stony peaks, I raised an eyebrow at the first part of Mikel's statement. The area was breathtakingly beautiful, and if it wasn't paradise, it came close enough. There are moments when a radical idea quickly goes mainstream. A cause for optimism but also caution; an opportunity for a practical challenge. The ``Green New Deal'’, a proposal for a green way out of recession, is such an idea (see interview with Green Party leader Caroline Lucas, Red Pepper, June/July 2009). It has now been adopted in some form, in theory if not in corresponding action, by governments across the world. In Britain, the workers’ occupation of the Vestas wind turbine factory on the Isle of Wight – supported by green, trade union and socialist campaigners across the country – has provided a practical challenge to the government. The Vestas workers’ argument, committed as ministers say they are to green investment, is that here is an exemplary case: so intervene and save green jobs, creating a base and a beacon for further action in the same direction. When the workers at Republic Windows and Doors -- in Chicago, USA -- were notified their factory would close in three days, they took matters into their own hands. The unionised workers seized control of the factory for six days to demand the entitlements they were owed by law. They also demanded that Bank of America, which was ``bailed out'' with taxpayers' money just weeks before, make funds available to the company to pay the workers. On the sixth day, December 10, 2008, of their occupation, they won all their demands, and showed the world's working class a classic example of people's power. This short video from Labor Beat (http://www.laborbeat.org) represents a fraction of its coverage of this historic event (something not seen in the USA for decades).